Welcome to the very romantic Sandals Montego Bay, Jamaica! Sandals Montego Bay is located on the best private beach in Jamaica. 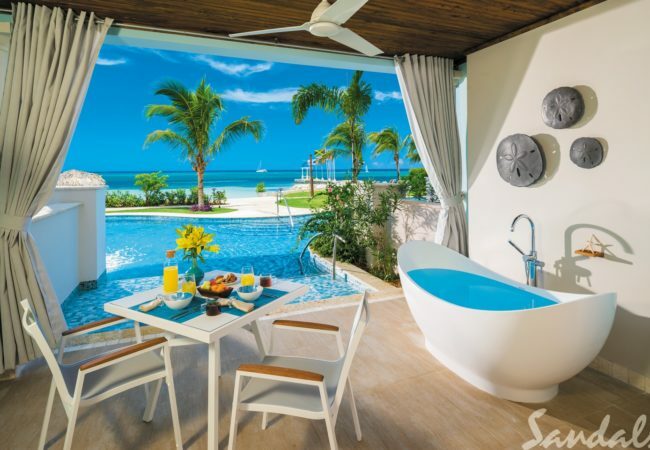 This fine luxury all inclusive beach resort is the very first Sandals Resorts. Here at Sandals Montego Bay the service is incomparble and here everyone knows who you are. 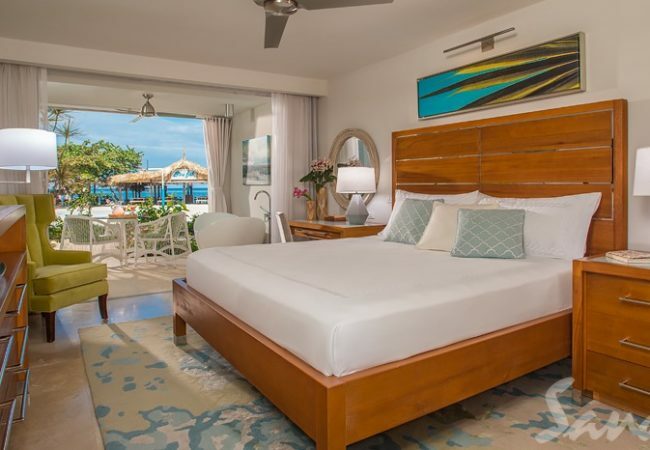 This romantic Jamaica Resort with it perfect white sand beaches and turquiose Caribbean Sea is where the fun and party never ends until you do. Located throughout the second floor of the Oleander building and ground floor of Cottage 8. 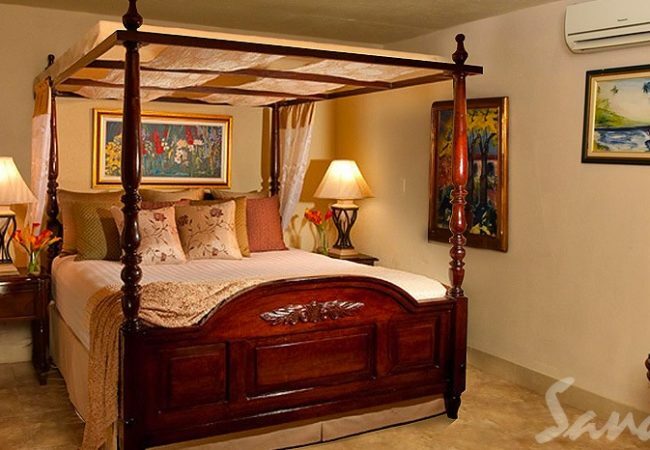 These cozy deluxe accommodations have refined interior comforts with British Colonial-inspired mahogany furnishings, a four-poster, king-size bed, flat screen TV, and a full bath.